I love this fragrance, stays with you. So pleasant. 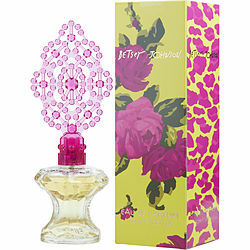 I love Betsy Johnson perfume and it was nice to find it at a reasonable price. It was delivered rather quickly too. Betsey Johnson, Is not an overpowering fragrance. I'm not exactly sure how to describe this fragrance, but know I'm in love with this scent! ! ! ! I love this fragrance. It's a fragrance U can wear everyday. Once I put it on in the am, the fragrance stays with all day. I get sooooo many compliments.